A couple of weeks ago I was tweeted by Meadowhall in Sheffield asking if I'd like to come along to a bloggers breakfast. 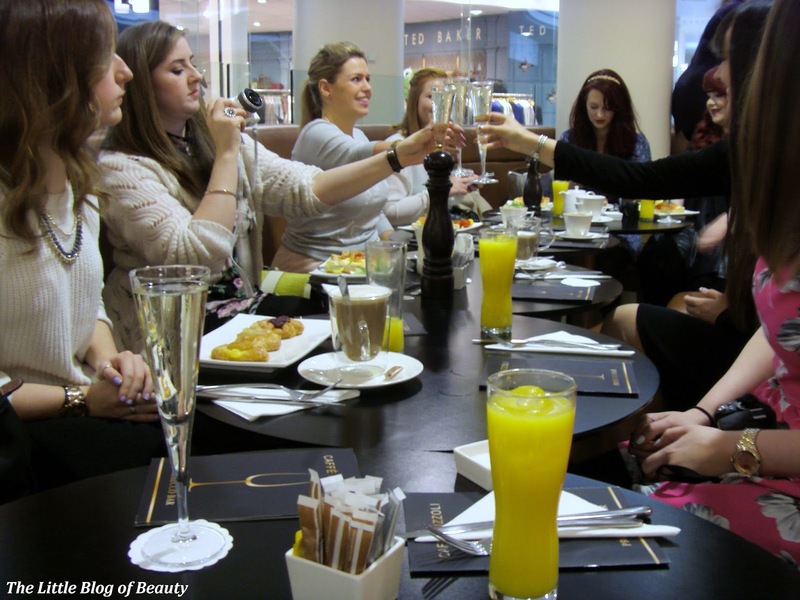 Meadowhall haven't worked with bloggers before so they invited some of us along to have a little chat about what we could get up to. Sheffield is only about 50 minutes away from me, so yesterday morning I got up bright and early and made my way to Meadowhall for 8am. 11 local bloggers were invited along to enjoy a lovely breakfast at Cafe Rizzoli with a glass of Prosecco (I abstained as I was driving!) 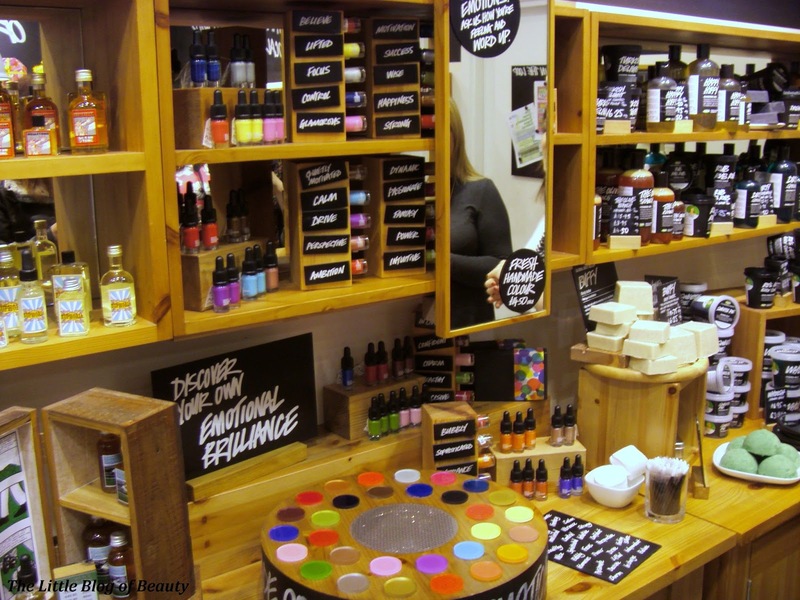 followed by a trip to Lush who were opening their doors early just for us. 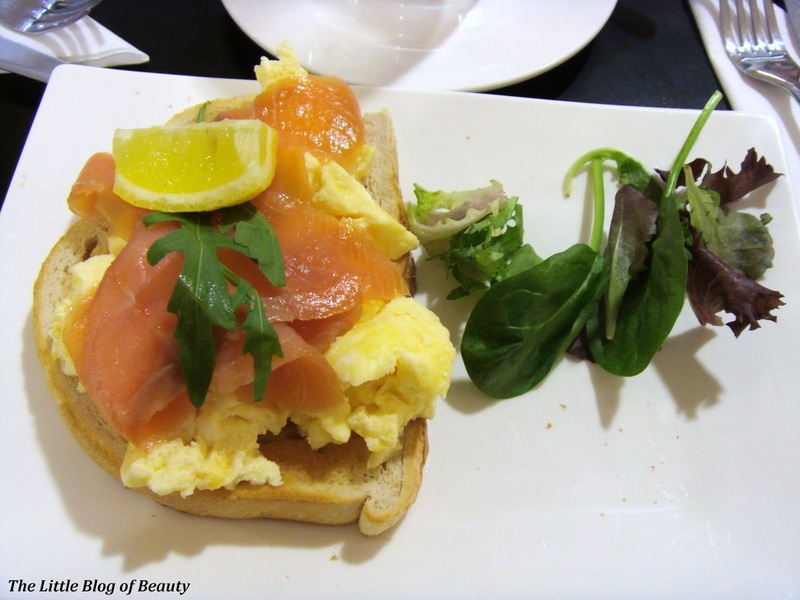 Being a bit of a salmon fan I chose the salmon and scrambled eggs, which I very much enjoyed. 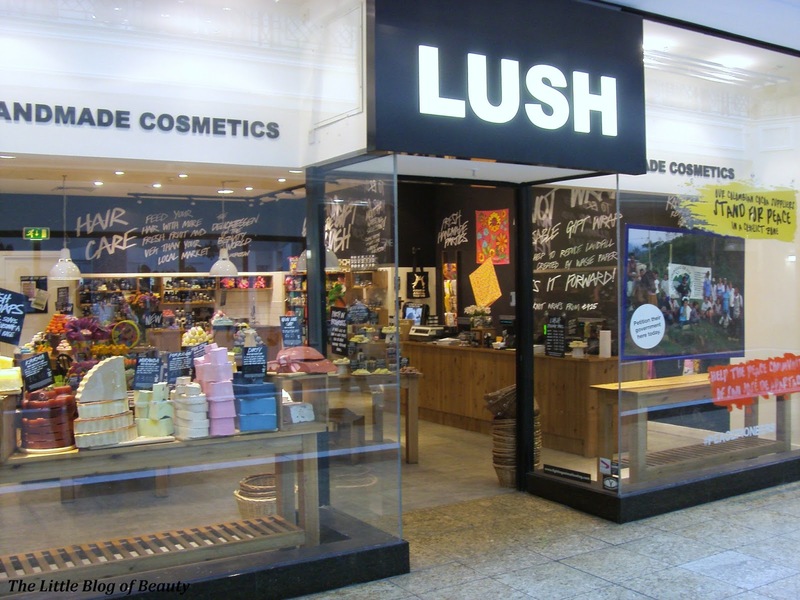 We then headed just a few doors down to Meadowhall's Lush store where we were then locked in for a bit of VIP treatment. We split in to two teams and while the other team headed off to make their own face masks my team stopped off at the Emotional Brilliance display to hear a bit about the range and have a go on the colour wheel. I already have two of the Emotional Brilliance lipsticks but haven't really checked out any of the other products they offer. Emotional Brilliance was developed with Strategic Behavioural therapist Lady Helen Kennedy who specialises in changing people's behaviour and attitudes. Each product is named after something people ask for in therapy sessions or emotions that they wish they had. A colour reading with the colour wheel looks at your emotional state at that time and this could change through the day. The wheel is spun while you close your eyes, you then open your eyes and quickly and instinctively pick a number of colours (we picked three). The colours I picked were Believe (which is one of the lipsticks I have), Strong (another lipstick) and Glamorous (another lipstick, it obviously knew I'm a lipstick fan!). 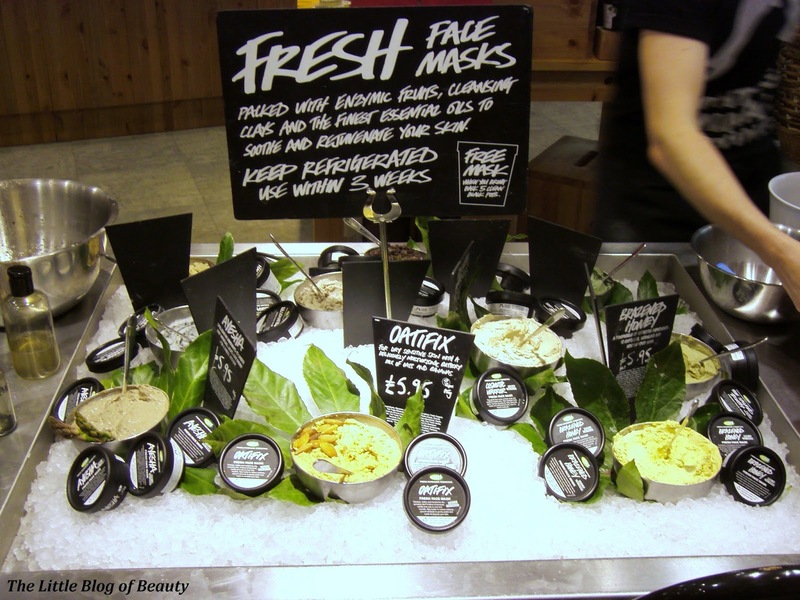 It was then time to swap over and go and hear about some of Lush's skincare. We were given a run through of what the different cleansers, toners and moisturisers contain and got to have a little try of some of them (after a quick double check to make sure there was no lavender in the ingredients for me). 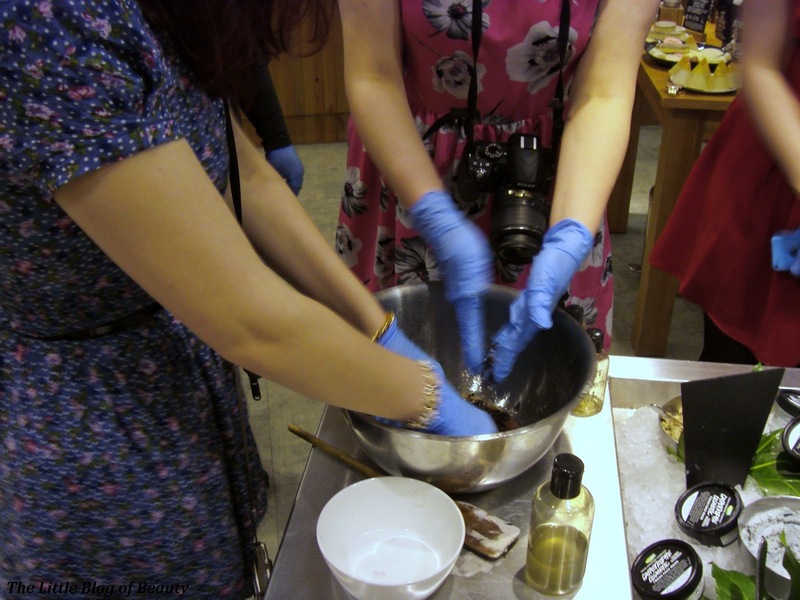 It was then time to get down and dirty and have a go at making Catastrophe Cosmetic, which is a blueberry based face mask. Catastrophe Cosmetic contains blueberry's, calamine powder, talc and various oils. 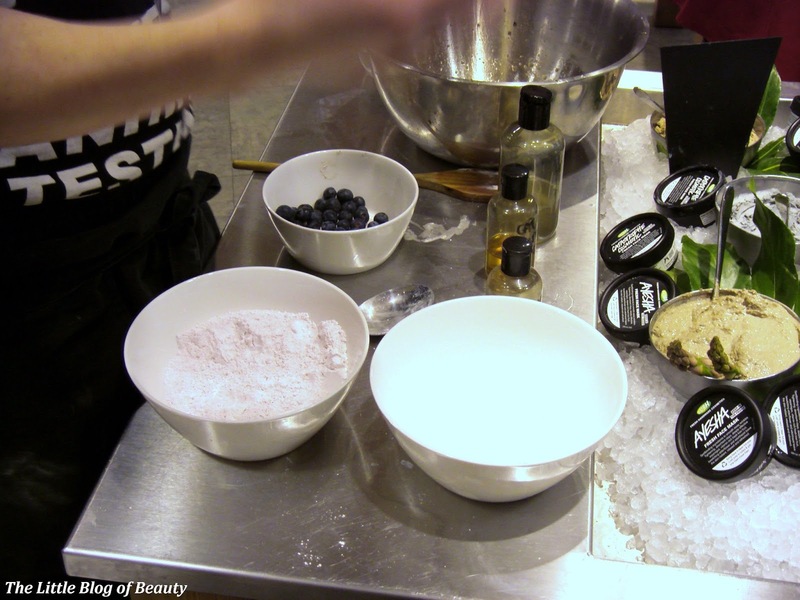 The process starts by squishing the blueberry's with one of the oils before adding the remaining oils and mixing up. The calamine powder and talc are mixed together and then the blueberry oil mix and the powder mix are mixed together gradually to make the mask. Once it was all mixed up we were all given a Lush pot to take a little bit home in. We were then told we could all chose a cleanser and toner to take home with us as well so I went for Ultrabland (cleanser) and Tea Tree water (toner). Reviews will follow when I've had a chance to try them out. After the event had finished I then headed off with Georgina, Jade, Charley and Jo for a little bit of a wander round the shops until my body told me it was time to head home. 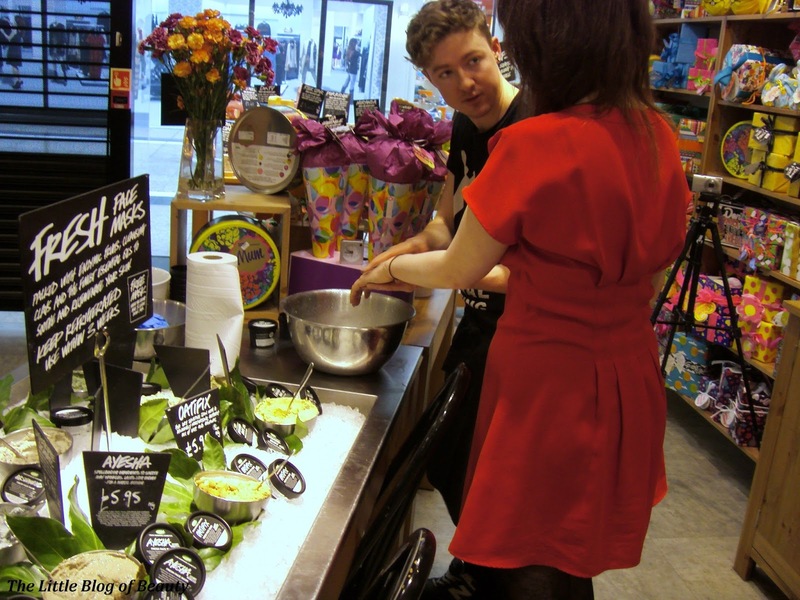 Thank you to Meadowhall and Lush for having us and giving us a lovely morning. Looks like a really good time! My sisters planning a meet-up and we're going to Lush so I'm more excited now that I've seen what sort of things you get up to - making your own mask sounds fab!